Update: Concert has been postponed until Friday due to unsafe conditions at the site of the concert due to rain. 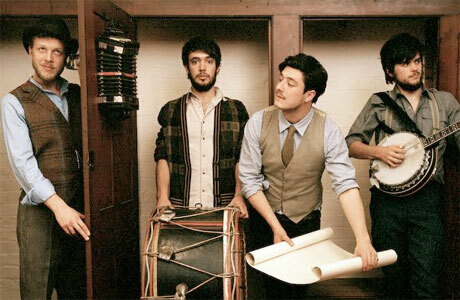 Wednesday Friday evening, Mumford & Sons and a couple opening acts will perform in the park at Montrose Beach. There will be no parking inside the park for the concert. Attendees are encouraged to use public transportation or bikes. But you know people will drive anyway. Our advice to you, if you don't need to move your parked car Wednesday, don't. You'll have a hard time finding parking on the streets until the concert is over and those attending have left the area. Montrose, Wilson and Lawrence east of Lake Shore Drive will be closed to vehicular traffic. OEMC will be in the area beginning at 2pm to do traffic control. Concert gates open at 3pm. The concert will begin at 6pm and will be over by 10pm. For more info, check out the very detailed account of an informational meeting here. Ald. Cappleman's website has info here. We've done this before, albeit on a smaller scale. There've been concerts at the beach over the past few years (Huey Lewis, Kool & The Gang, Guster, Boston, The Doobie Brothers) and the Beach Boys will be there later this month. The Wavefront Festival was there a couple years. The cops and OEMC have been prepping for this for weeks. If you're going, enjoy! Looks like it wasn't rain or shine... concert has been rescheduled for Friday.